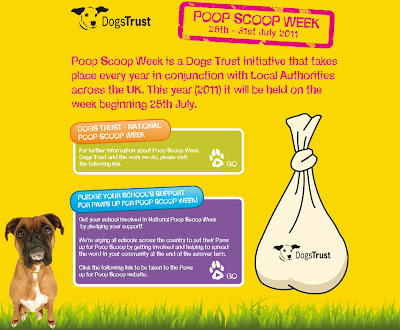 Dogs Trust: Paws up for Poop Scoop Week! Paws up for Poop Scoop Week! Schools, teachers and pupils can pledge their support and get involved at www.poopscoopweek.co.uk to encourage responsible dog ownership in their communities. Linking closely to health and wellbeing aspects of the curriculum, the Poop Scoop Week pledge, supporting resources and activities for pupils could be a fantastic way for schools to empower pupils to make ‘pawsitive’ changes in their local area this summer. Get involved before the end of term and put your ‘Paws up for Poop Scoop Week’ at your school now! 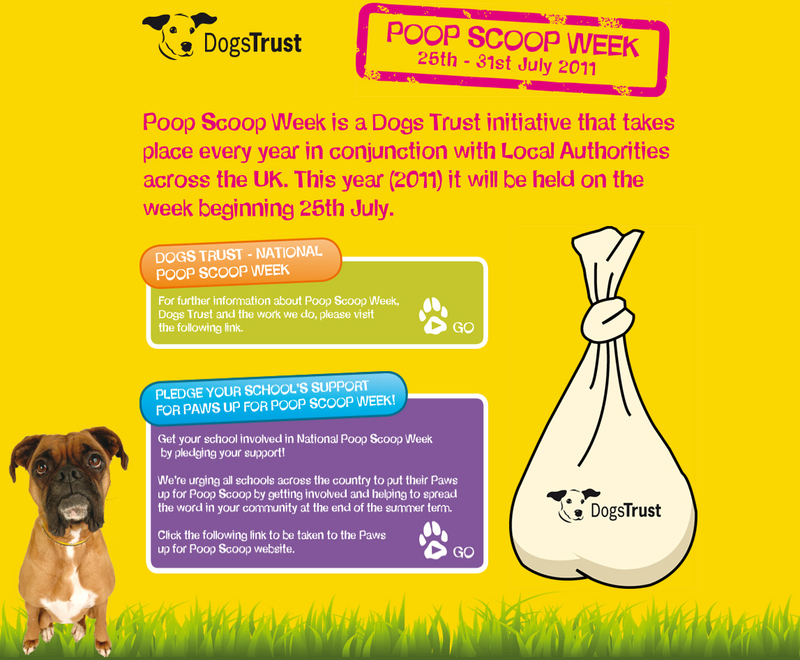 Poop Scoop Week runs nationally from 25th – 31st July 2011.